Built in 1940 by the Civilian Conservation Corps, Bearfence Mountain Shelter is located in Greene County, Virginia inside the boundaries of Shenandoah National Park. 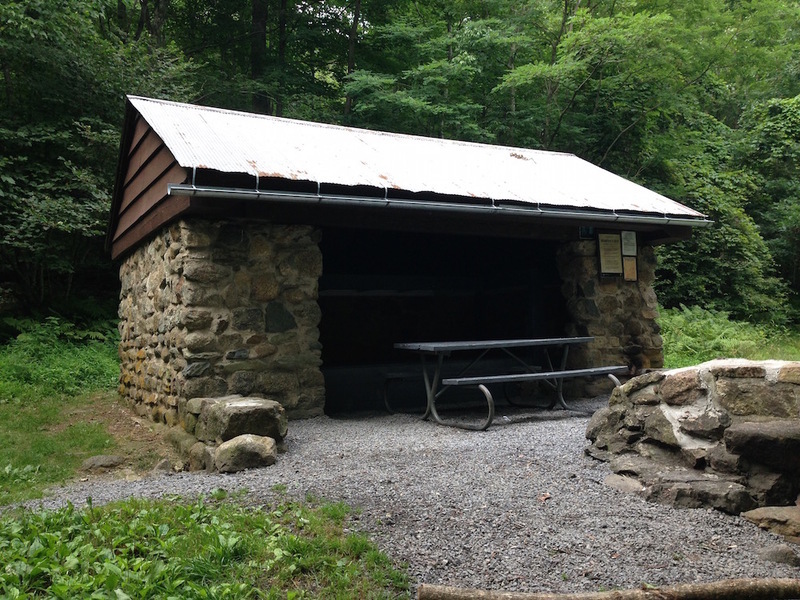 Maintained by the Potomac Appalachian Trail Club, the shelter is named after the nearby summit of Bearfence Mountain which has an elevation of 3,640 ft. The origin of Bearfence name likely came from a nearby pasture which was fenced in to keep bears out. Mills Kelly, “Bearfence Mountain Shelter,” Appalachian Trail Histories, accessed April 23, 2019, http://appalachiantrailhistory.org/items/show/64.